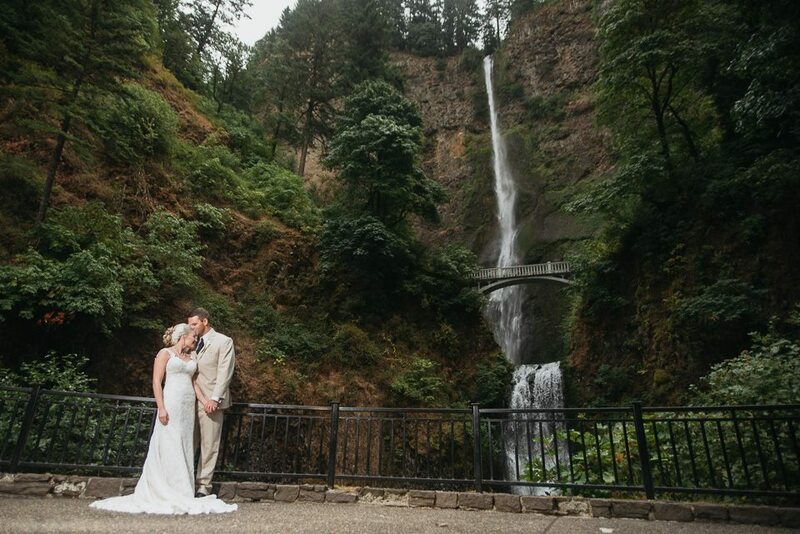 Multnomah Falls can host wedding ceremonies and receptions indoors in the Great room, one of our main dining rooms with stone walls, high vaulted ceiling, massive fireplace and views of the Columbia River on one side and the Magnificent Multnomah Falls on the other. 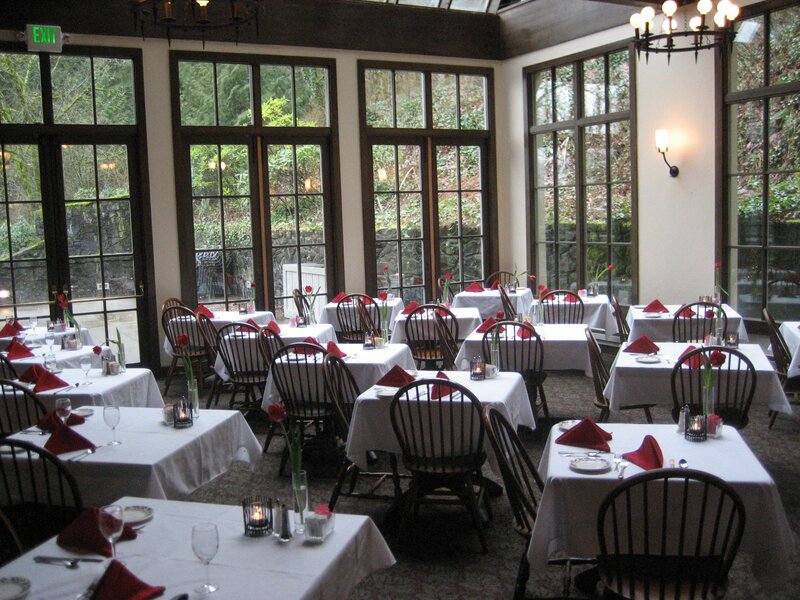 The great room can offer services to groups of up to 100. 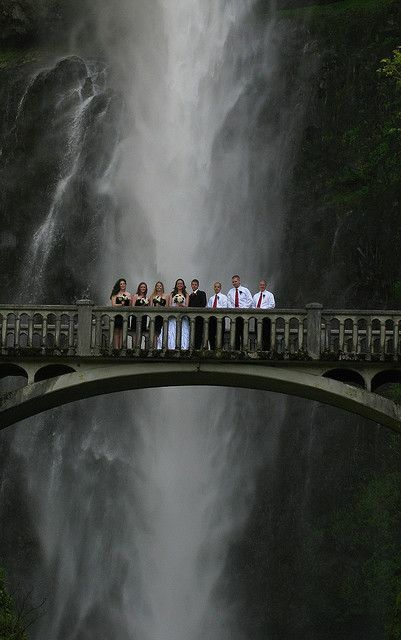 We can also offer wedding and reception services on the plaza in a designated area that offers a wonderful view of the Falls, surrounded by the beauty of nature. We can accommodate group of up to 50 people in our outdoor area. 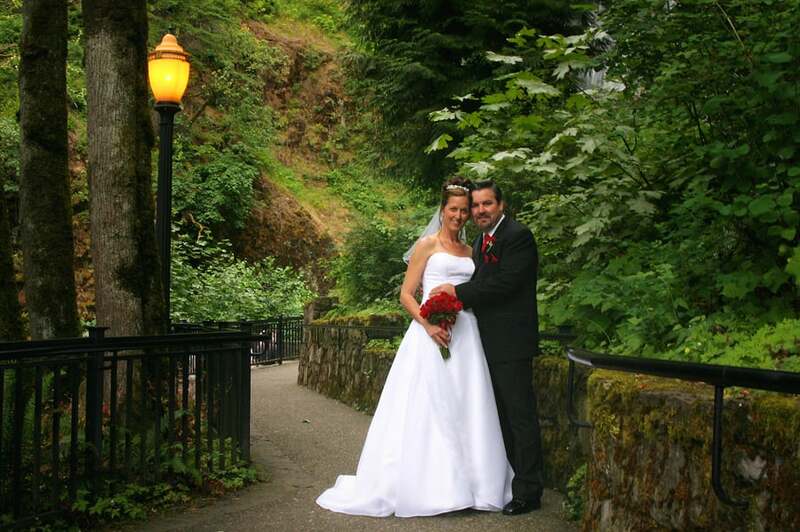 For those looking for an elegant, beautiful place to exchange vows, this may be the perfect package for you. This area is available for up to 50 guests. This includes a changing area for the wedding party in the lodge, available 3 hours prior to your ceremony, up to 50 chairs, 2 hour use of the wedding plaza area, set up and tear down of wedding area, a bluetooth wireless speaker with microphone, along with tables for cake, guest book, and gifts if needed. Canopies provided if needed. Available from April-October. Available before 11:00am or at 5:00pm. 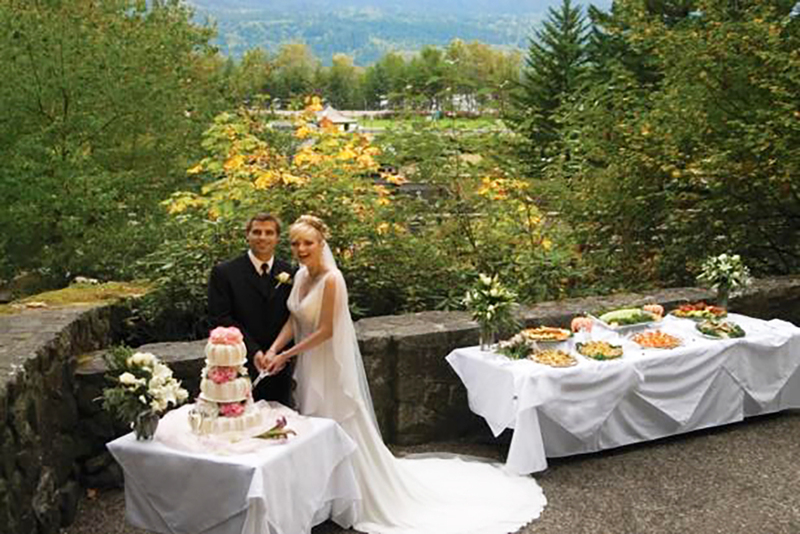 This package includes everything in the basic Outdoor Wedding as well as the following for up to 50 guests. This package includes your choice of 5 items from our special hors d’oeuvres menu, French sparkling cider, bottled water, and a punch bowl. (Alcohol is not permitted on the wedding plaza). Our staff will provide service with this package, to assist you and your guests for a truly memorable experience. 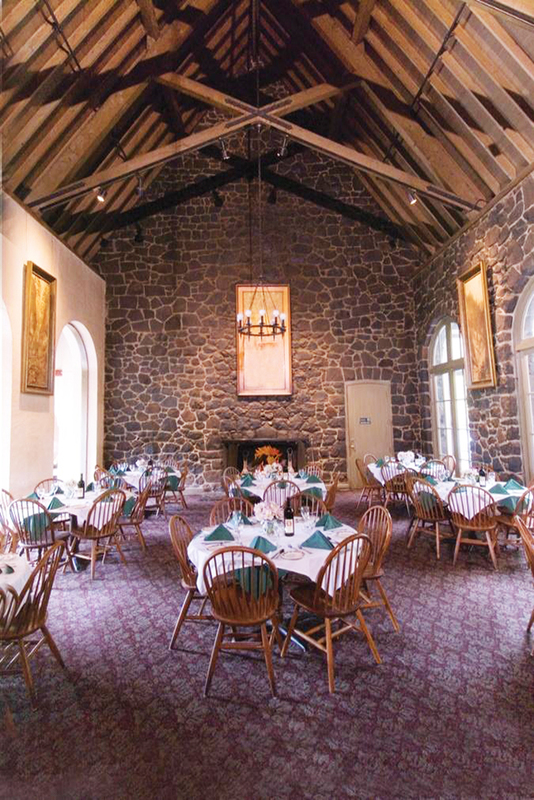 This premier package offers 3 hours of exclusive use of our Great room in the lodge built in 1925, with beautiful stone construction, vaulted beamed ceiling, and fireplace. Reception fully serviced by our staff. Seating available for up to 72 guests, or a cocktail party style hors d’oeuvres reception for groups up to 100 guests. Package price for up to 50 guests. This package includes a large hors d’oeuvres style buffet with up to 8 selections from our hors d’oeuvres menu, or a buffet style dinner for groups of 72 or less. Linen table service, candles, set up and tear down, cake cutting service, speaker and microphone, and non-alcoholic beverages included. 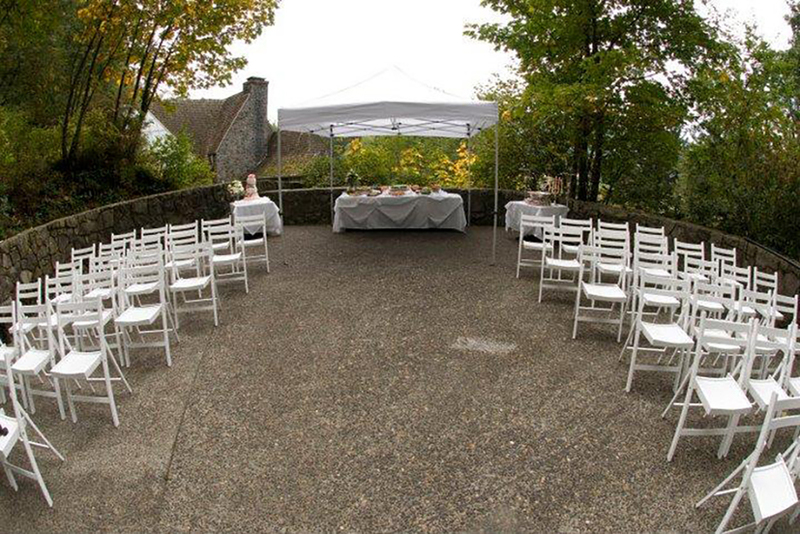 If combining the outdoor ceremony package with indoor reception package, additional $750.00 applies for outdoor ceremony. An 18% gratuity will apply. Add-on option of beer, wine, and cocktail service.